(Ian) Describe how you first realized that you had psychic abilities. (Luna Chic) I’ve never really not known. I have always seen, heard and felt spirit and energies around both myself and others. (Luna Chic) Everyone has a calling and I truly feel this is mine. I wouldn’t be me without it. You get a different perspective on life when you deal with those no longer here. Their message? Make the most of the gift that is today. (Ian) Describe your journey into the psychic world. (Luna Chic) Truth be told, it has been a magical mystery tour. My mother, grandmother and great grandmother all have had this ability so I was never taught to deny it. When I was very young, I would wait for the" lights" to come. That is my earliest memory...being surrounded by swirling, vibrant, multicoloured light. I would always sleep peacefully after being visited. It changed at around 4 years of age and would scare the living daylights out of me! I would see people in my room and feel them sit on my bed etc. This went on for years. I would have spirits come and visit me almost nightly. It was only when I started to get more control of my abilities that the scary stuff stopped. I am still regularly visited by spirits however. (Ian) What spiritual skills do you have? (LunaChic) I am predominately clairvoyant, meaning that I receive messages in very vivid picture form but also hear ( clairaudient ) and feel ( clairsentient ). Its like an all encompassing experience of sound, sight, emotions, smell and at times taste. I am also a medium, certified astrologer, palmist and see past lives, but like to concentrate in relation as to why people are experiencing things in this lifetime. (LunaChic) I feel that we are all born with psychic ability to a lesser or greater degree and as we mature we gradually shut this down and are taught to question it. Or at least in our culture. Many cultures celebrate and encourage this natural skill. Being humble is imperative. Psychics aren’t God and ego should never come into it. (Ian) How have your abilities changed over time as your own wisdom increased? (Luna Chic) They’ve most definitely changed, thank God... I used to get messages and images everywhere! This is when I was really starting to open up, from about 12 years of age onwards. It was like learning how to drive, the first few years were a major learning curve. I’m much more in control of things now and am very discerning about where, with whom and when I do my work. It’s all energy baby. (Ian) What are your thoughts around everybody having a certain degree of psychic power? (LunaChic) As stated before I believe that we are all born with this ability to a certain degree. But like with anything, some people have a natural ability in this field. Others educate themselves and learn as much as they can to develop the ability they were given.Structure and discipline are super important. But some personalities are much more suited to working with peoples energy than others. It’s all in the intent and delivery.  (Ian) What are your personal spiritual views regarding the psychic realm? (Luna Chic) Whenever I am questioned about my spiritual beliefs a certain phrase from Hamlet always comes to mind. “There are more things in Heaven and Earth, Horatio, than are dreamt of in your philosophy.” There is so much out there that cannot be explained and it would be arrogant to believe you could. I strive to remain as opens possible, whilst still being as grounded as I can be. (Ian) Please share your most noteworthy personal metaphysical experience. (LunaChic) Oh good Lord! There are numerous. Connecting with a young female spirit for years who was killed as a Huguenot amongst many other “ghosts”, seeing major world events before them happening and getting the background story on events that have passed, communicating with animals and mother nature and hearing their warnings to mankind, astral travel, poltergeist and angelic experiences. One guy who had crossed over took me through all of the stages of the evolution of the soul. Amazing and beautiful! If we just step away from our phones, our computers and our monkey minds to get really get quiet and truly listen then the spirit world opens up to us, in the most astounding of ways. (Ian) When do you avoid telling people that you're psychic? (LunaChic) You get a vibe off people as to whether you’re opening Pandora’s box by telling them. The more you own it the less impact other people’s opinions have on you. But some days I just prefer to not to disclose it. (Ian) When do you like to be very open about being a psychic? (Luna Chic) When you feel the audience is receptive, respectful and non judgmental. It’s not the easiest of paths and many find it hard to understand what its like to live in your skin but I love it nevertheless. (Ian) What do you most want the public to know about you?  (LunaChic) That psychics are people too! That we aren’t always “on” or perfect. That even though we have this ability and choose to work with caring for others , we still need to eat, have privacy and aren’t on call 24/7. That its irresponsible to just “tune in” willy nilly to offer advice. (Ian) What star sign are you and what makes you typical of your star sign? (LunaChic) Taurus. Determined, loyal and loves chocolate. (Ian) What is your general approach when you read for people? (Luna Chic) To ground and protect my energy first and foremost. To aim for pinpoint precision and accuracy. That whatever transpires in the reading room, stays there. I’m intensely private and will never divulge what transpires during a session. To go directly to Source and be absolutely humble. It isn’t about me. (Ian) What can you share about your most fascinating reading to date? (LunaChic) There have been so many! I genuinely love working with people and have had the honour to read for so many people from all walks of life, cultures and industries. From the very high profile to the most religious of clients, everyone has their story. I am endlessly fascinated as to how life unfolds for my clients and the lessons they give me. Even the difficult ones! (Ian) What do you most want people to know about your services? That I will offer a safe, respectful and private space. That you must show up to the reading 100% and that it’s not a side show alley carnival act. That I will only give what I get, I will be completely honest with what I see, feel and hear. If I don’t feel it, I won’t call it. I also have a cracking sense of humour, when appropriate, and so does Spirit. (Ian) How should new clients connect with you? (LunaChic) The best way is to go to my website www.lunachic.com.au where you can submit a form with all of your contact details. Texting, email or through my Lunachic Facebook, Instagram and Twitter pages are also great. Thanks for reading! We are all the master of our own destinies; we are the captains of our souls. But Lunachic Astrology Predictions can tell you what to pack on board to make sure the journey is a smooth one, or to batten down the hatches and ride out the storm. Knowledge is power. 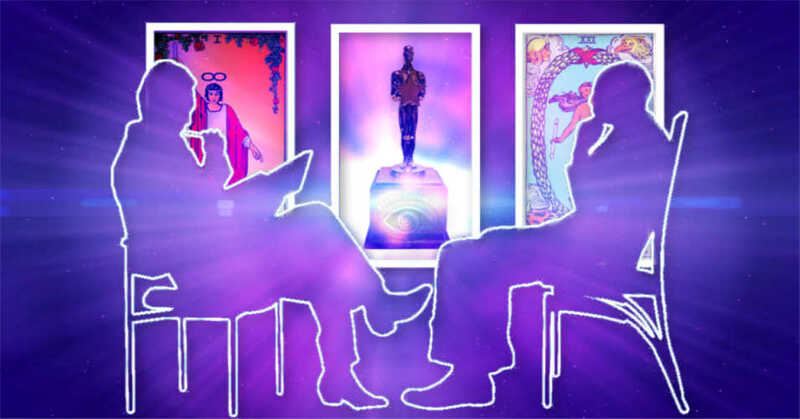 If you are a practicing psychic, intuitive, tarot reader, astrologer, or medium I would love to publish your perspective on the psychic realm and on being who you are. Take my psychic interview.